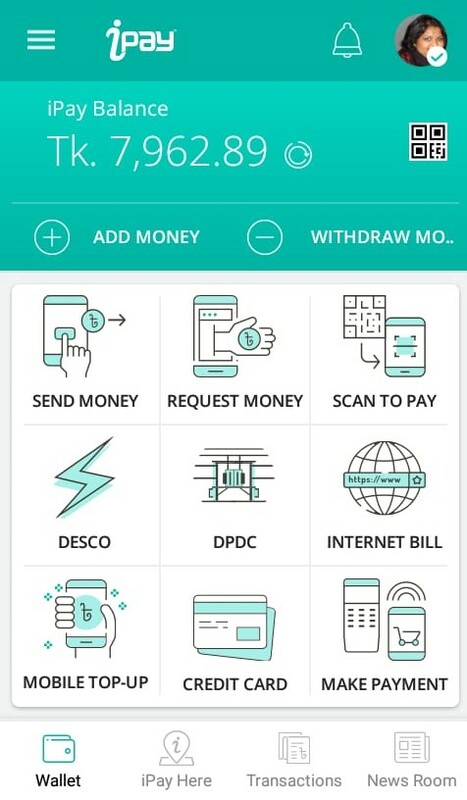 Withdraw Money | iPay Bangladesh: A free e-wallet & secure payment platform. 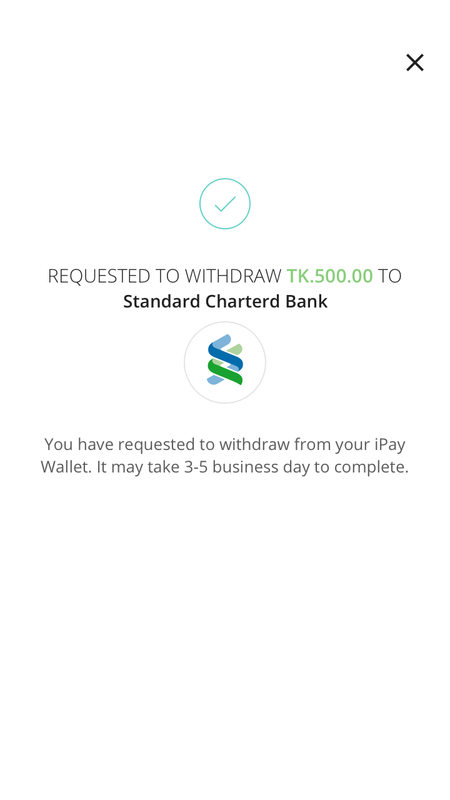 iPay Withdraw Money service allows to transfer money from your iPay Account to your linked bank account. 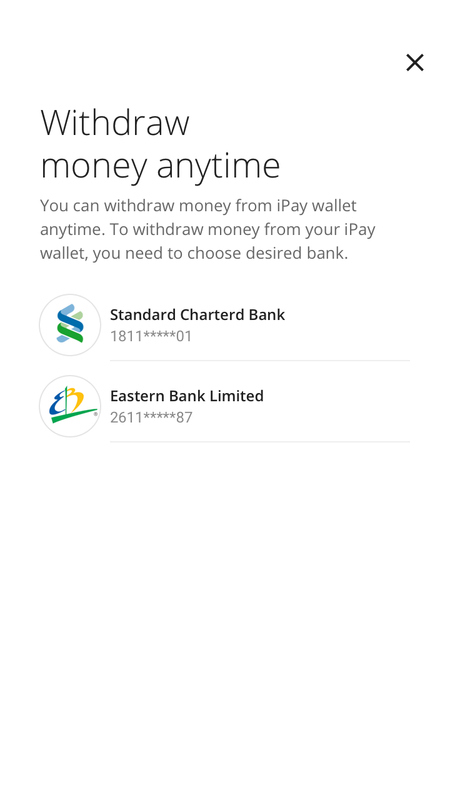 This helps to enhance security and easier accessibility of your finances. 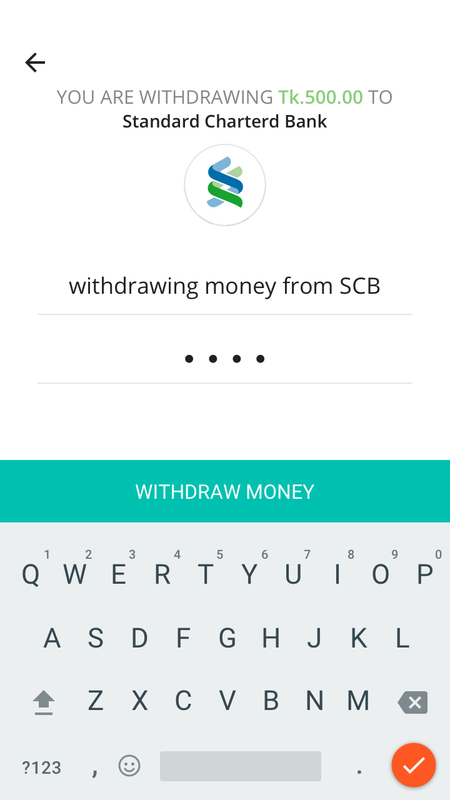 Withdraw money offers collecting money from distributors, in store or online payments from customers or other sources and for general purposes to send back to your linked bank account. With the withdraw feature, iPay provides a cashless solution to avoid cash handling risks. 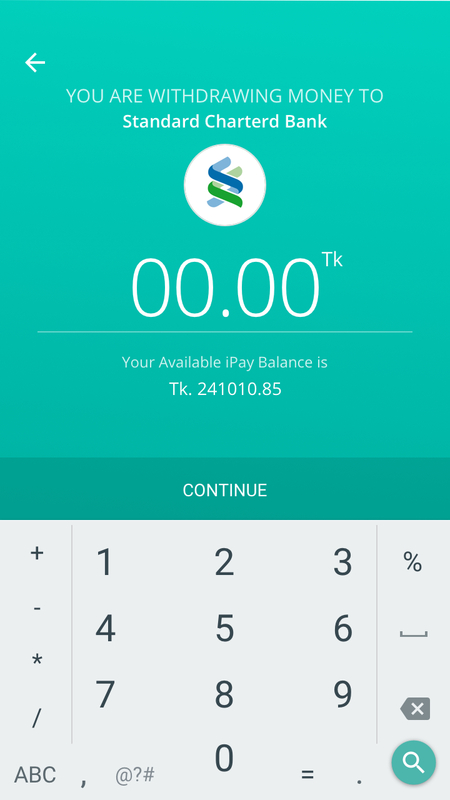 Tap on "- Withdraw Money"
* You will receive the amount within 3-5 business days.